Dentists from across Blackburn with Darwen have signed up to a new national NHS scheme that aims to tackle dental decay in under-5s. ‘Starting Well: Smile 4 Life’ is being rolled out in areas across Lancashire and South Cumbria to improve children’s oral health. The aim of the programme is to encourage parents of under-5s who have rarely visited a dentist for their child, or have never visited a dentist for their child, to attend so their child can have regular check-ups and get early preventative advice. 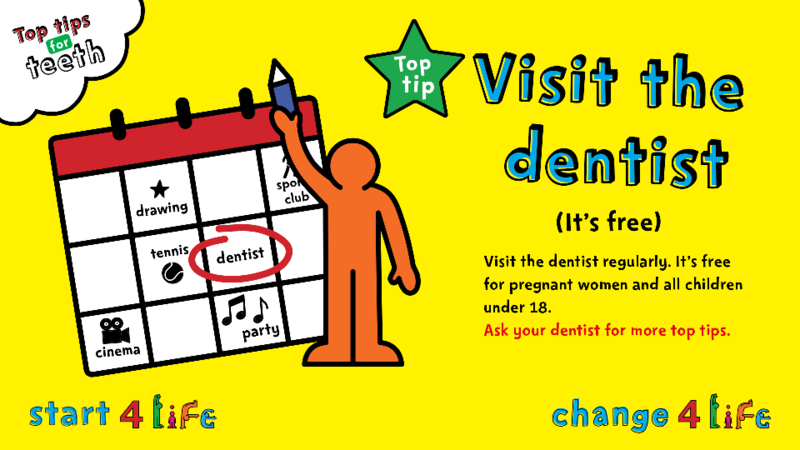 As part of the programme the dentists involved will, alongside members of their teams, visit local communities, schools and children’s centres to speak to parents about protecting their children’s teeth. Latest figures show that in 2015 more than 55 per cent of five year olds in Blackburn with Darwen had tooth decay. Tooth decay can be the cause of pain, infection and sleepless nights and young children often need treatment for this. NHS England is investing £2,500 per month per dental practice taking part into delivering the initiative over the next two years in Lancashire & South Cumbria with the aim of getting an additional 4,000 children attending dental appointments during this period. The funding will be used to increase health promotion activity in the community by visiting children’s centres and other early years’ settings such as nurseries, creating publicity material and using social media to promote their work as well as freeing up extra space and time in each practice for checking the teeth of these children. We know children’s dental health is an area we need to improve on and the roll-out of this programme is a fantastic way to help do it. Our message to the parents of under-5s is that, even though they are still so young, you can still get their teeth checked free of charge and get some vital early preventative advice that could stop problems occurring later on. I’m pleased so many dental practices in the borough have signed up and I am looking forward to seeing what we can achieve. To find a participating dentist, or join a local dental practice, please contact 0300 123 4010.